Jennifer Chan has practiced family law exclusively since 2007, and specializes in divorce law, with an emphasis on child custody, child support, relocation, property division, alimony, retirement, and premarital and marital agreements. Ms. Chan also handles paternity, adoption, and guardianship cases. 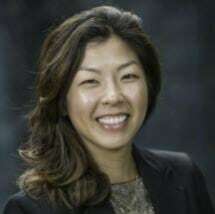 Ms. Chan was recently named a Super Lawyers Rising Star for Hawaii 2014, and was the Hawaii State Bar Association Family Law Section Secretary for 2014. Ms. Chan graduated from the William S. Richardson School of Law in 2007, during which time she externed for the Honorable Michael F. Broderick (Family Court) and the Honorable Karen M. Radius (Family Court), was a summer legal clerk at Stirling & Kleintop, and was a Research Assistant to Professor Calvin Pang (Family Law) and Professor Jill Ramsfield (Legal Writing). She was awarded the Cades Schutte Fleming & Wright Scholarship for 2004, 2005, and 2006, and was an Appellate Advocacy Teaching Assistant to Professor Livia Wang. Ms. Chan graduated from the University of California Los Angeles in 2003 with a B.A. in English, and from Punahou School in 1999.